Location: On site at Douglass Park, 400 N. Providence Road. 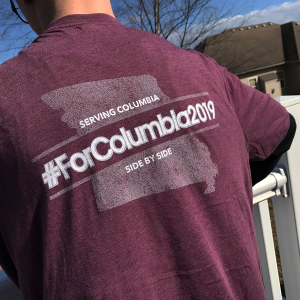 One of the ways ForColumbia strives to love and serve our city is by giving our time and energy to beautify community areas that are available to everyone to enjoy. This year we are serving in city parks located throughout Columbia, all of which could use a little more help. When we give our time like this, we are actively seeking the good of our city in a tangible way. clean up and mulch the multiple planters along Fifth St.
Columbia’s Parks and Recreation will provide all paint supplies and tools, trash bags, etc. Volunteers are encouraged to bring their own leaf rakes to assist with leaf and trash removal.